Kensington Natural Smiles provides dental implants in Kensington, MD. Call 301-933-3903 to learn more and schedule your appointment. Dental implants have become the gold standard to replace missing or failing teeth, thanks to their stability, durability, and strength. 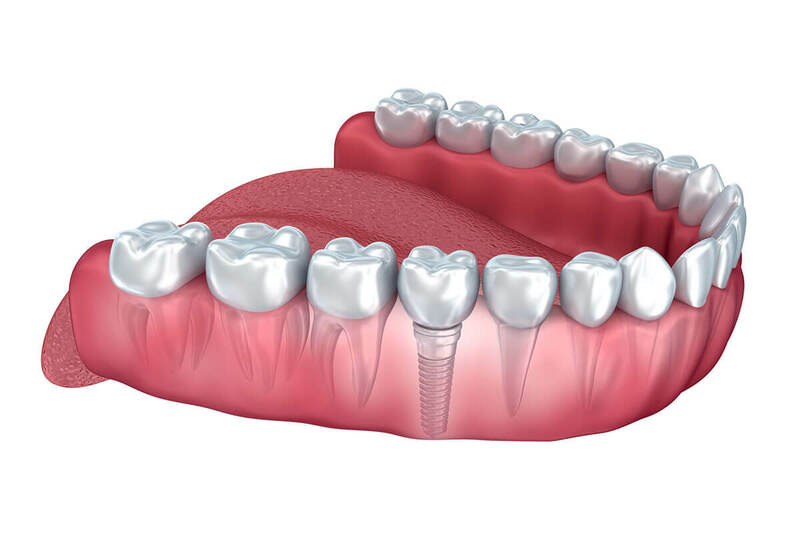 Dental implants can help to stabilize bone loss by replacing tooth roots, and they restore nearly all of your original bite strength. At Kensington Natural Smiles, we work hand in hand with a trusted oral surgeon and implantologist to ensure that you receive the best possible care throughout all stages of your dental implant procedure. We also take the time to sit down with you to discuss all of your options, as we believe strongly in patient empowerment. You might have heard that only those who are in excellent physical condition can get dental implants, but this is not actually the case. If you have any underlying medical conditions such as diabetes or heart disease, you will want to work with your doctor to get those tightly under control before any surgical procedure including implant placement. Likewise, if you have any existing oral health concerns, we will need to address those before we begin. Finally, if you suffer from extensive jawbone loss, you might need bone grafting first. Within those constraints, however, virtually anyone can be a candidate for dental implants. If you are missing just one tooth, a single dental implant topped with a crown is the right solution. We can also place single tooth dental implants throughout the mouth for those who are missing multiple scattered teeth. 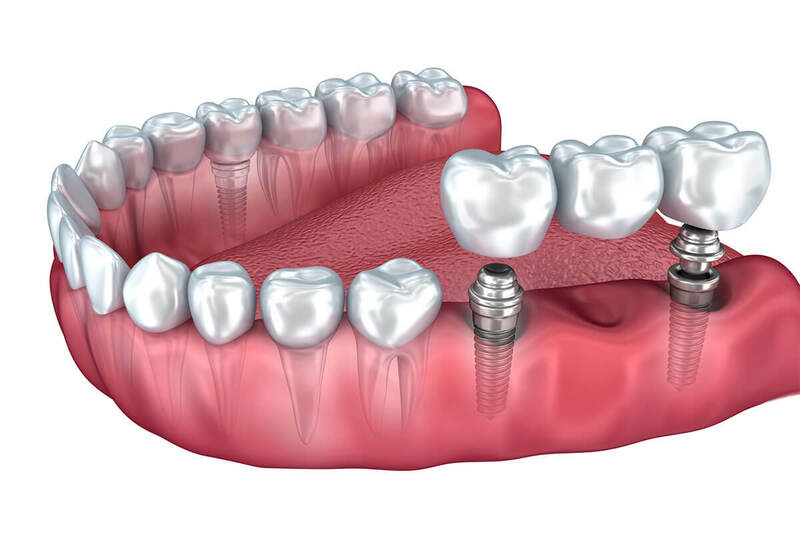 A dental implant is a tiny sliver of bio-compatible titanium that is inserted into the jawbone and topped with a cover screw or a healing cap. 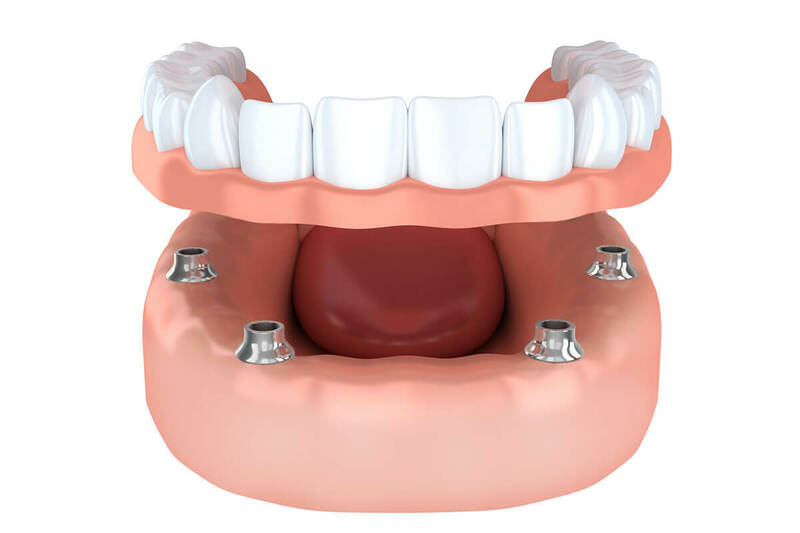 After the implant fuses with the bone, we will remove the screw or cap and attach a customized crown to it with a piece known as an abutment. If you are missing three or more teeth in a row, we can place an implant supported bridge. A traditional bridge relies on the natural teeth at either end, requiring us to sacrifice healthy tooth structure. An implant supported bridge is secured to dental implants at each end, creating a strong and highly aesthetic restoration that does not disturb the adjacent teeth. 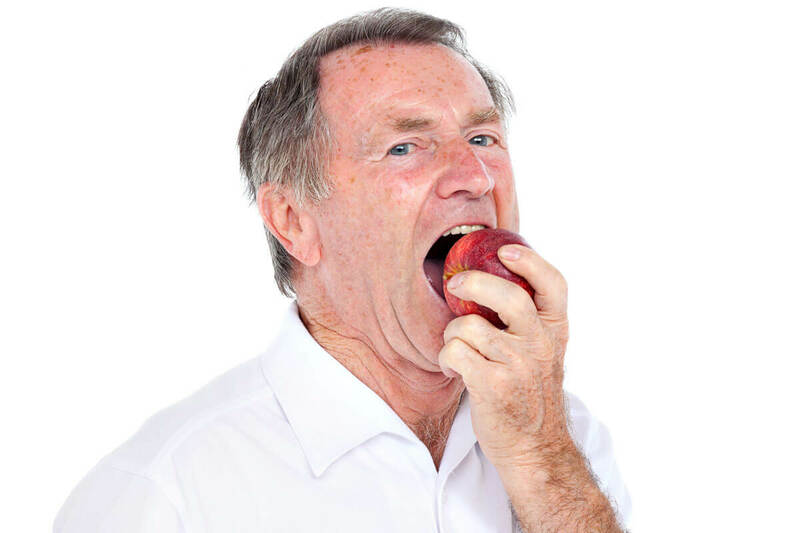 Just two implants can support and stabilize a “snap-on” removable denture, while a handful of implants can secure a full arch of teeth that never leave your mouth. 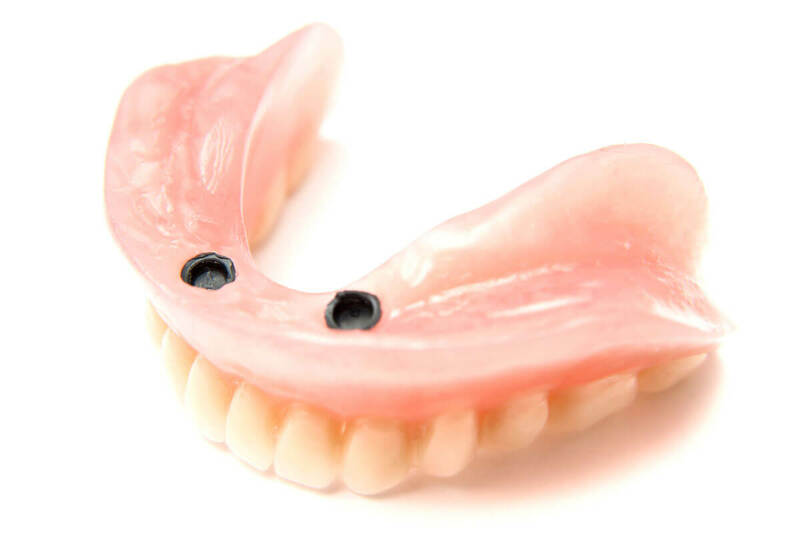 Both solutions solve the problems of slipping and pinching that are common with traditional dentures. They also restore nearly all of your bite strength, and they can reverse jawbone loss. If you are missing all of your teeth on the upper or lower arch, a full arch with four implants is a true game-changer. Using just four immediate-load dental implants, we can secure a full, fixed arch of teeth on the same day as your extractions.